After you’ve saved a preset, tap on the + icon in the Play-Fi Control screen, and select the Presets option, as indicated below. Then just tap on one of the icons and it will launch automatically. 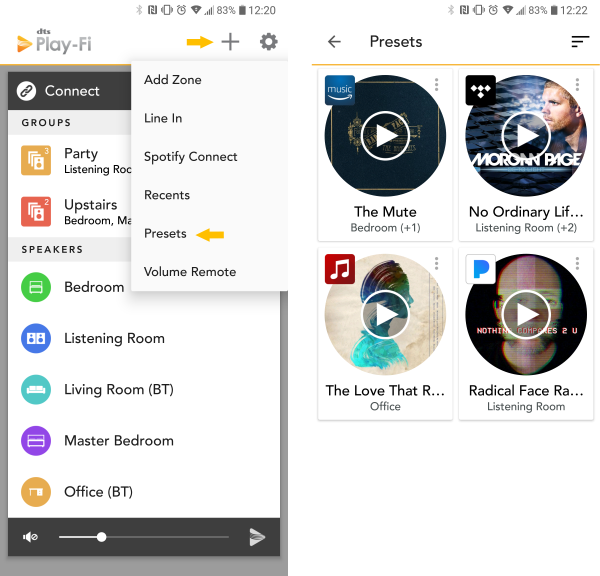 After you’ve saved a preset, simply press and release the desired button on the Play-Fi product, and it will recall the stored station or playlist, regardless of whether or not you have your phone or tablet with you.